It's essential to growing spiritually. The reason we all liked Play-Doh as children is because we believed we could create anything we wanted. We’d mold, shape and bend. Plus, if we didn’t like how it was turning out we could pick everything up, roll it in a ball and start over. Is it possible that we are worshipping a Play-Doh Jesus? Meaning, the main reason we don’t have an issue with Jesus is because it’s a Jesus that we’ve created by our own imagination? We’ll shape, mold and bend Him to be what we want Him to be. Then the very moment that particular Play-Doh Jesus no longer appeases us, we just roll Him up and start over; we create a different Jesus more to our liking. When we do this we are not worshipping the Jesus of the Bible, but rather, a “Jesus” that we’ve created in our own minds. The Jesus of the Bible will regularly disrupt our lives, call us to difficult things and stand in opposition to our personal preferences. He often does the opposite of what we think He should. Let’s be honest. His holiness, His demand upon us to deny ourselves and His commandments to love others can all get pretty annoying in our pursuit of happiness. The Jesus of the Bible challenges our indulgences. He contests the egoistic fine art of “looking out for No. 1.” So, our natural inclination is to shape Jesus into something more palatable to our personal opinions and preferences. Left to our natural devices, we don’t want to be created in God’s image; we want Him to be created in our image. We don’t want Him to be the one in control; we want to be in control. We don’t want Him to be the potter and for us be the clay; we want to be the potters and for Him to be the clay in our hands. We want to shape and mold our god to care about what we care about. We want to label Him as a Republican or Democrat. We want to picture Him as white, black or brown. We want Him to be passionate about what we’re passionate about. We want Him to be angry about what we’re angry about. We think He should tolerate what we tolerate. If this idea of what you’ve created Jesus to be is what comes to mind when you worship, pray, sing, lift your hands, give, serve and live, then ultimately that is idolatry. It is the worship of some created idol. 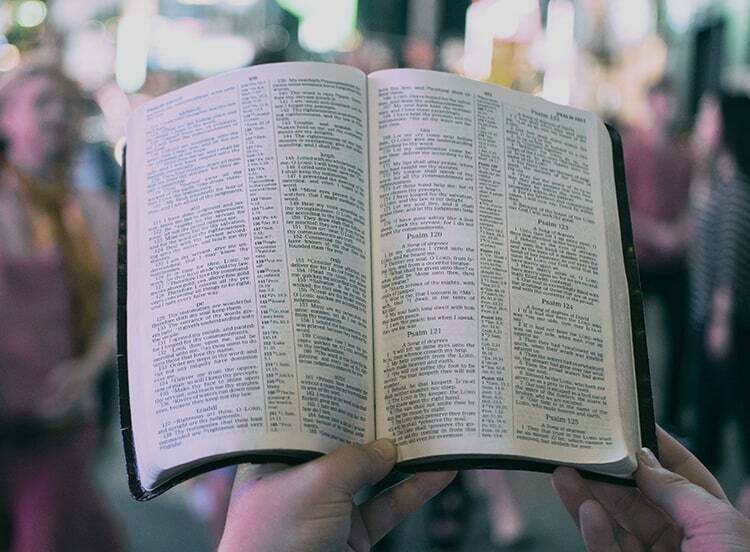 You are worshipping a misrepresentation of the God of the Bible—one to whom you’ve simply attached the name “Jesus.” It’s sinful on our part, because it’s not the true Jesus of the Bible that we’re worshipping. If you truly love the Jesus of the Bible then you will also love the Bible that tells us all about Him. We know nothing about the person and the life of Jesus apart from the Holy Scriptures. The extrabiblical things we think we know about Jesus are simply inventions of man. Jesus said Himself that we must worship in “spirit and truth,” (John 4:24). An accurate view of Him is absolutely necessary to authentic worship! So, who is this Jesus of the Bible? According to Colossians chapter one, He makes the invisible God—visible (v. 15). He is the first ranked over all creation (v. 15). All things were created through Him and for Him, and He is the One who sustains all things (v. 16-17). He is the head of the Church (v. 18). He is the first ranked over death by His resurrection (v. 18). In all things, He is pre-eminent (v. 18). This means Jesus surpasses all, ranks above all and deserves first place in everything. We’re not the boss. He is. We’re not the creator. He is. We’re not in control. He is. We’re not the potter. He is. This is the Jesus of Scripture, so let us dive into His Word to discover who He is, and not rely on our own understanding. In knowing the real Jesus of the Bible, we’ll begin to be passionate about what He is passionate about. We’ll be angered by what angers Him. We’ll tolerate what He tolerates. We’ll view things the way He views things. We’ll live how He lives. This is the only kind of worship that transforms lives because it directs us toward the true and living Jesus! At the end of the day, our opinions about Him do not change who He is: “Jesus Christ is the same yesterday and today and forever,” (Hebrews 13:8). However, our faith in the real Jesus will absolutely change who we are.